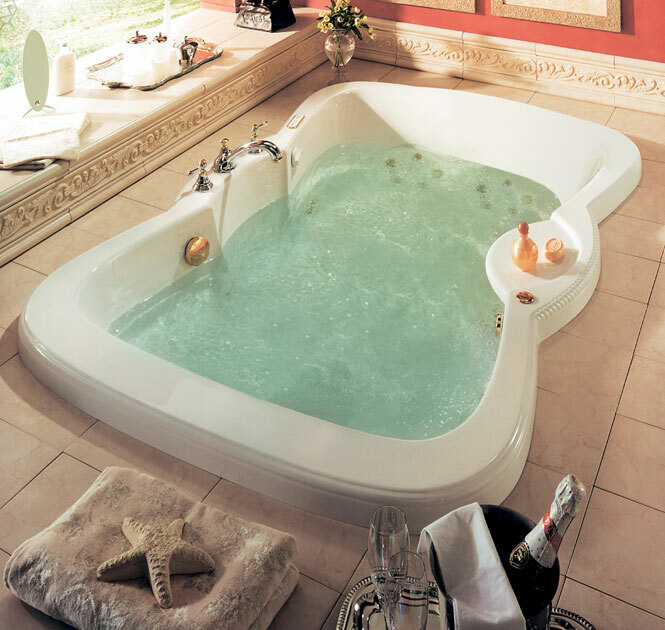 A bathtub accommodating two bathers side-by-side, with an integrated molded shelf for bath or beauty products. Total width :48 3/4 in. Interior width (floor) :31 1/4 in. Interior length (floor) :47 3/4 in. Interior width (top) :39 1/2 in. 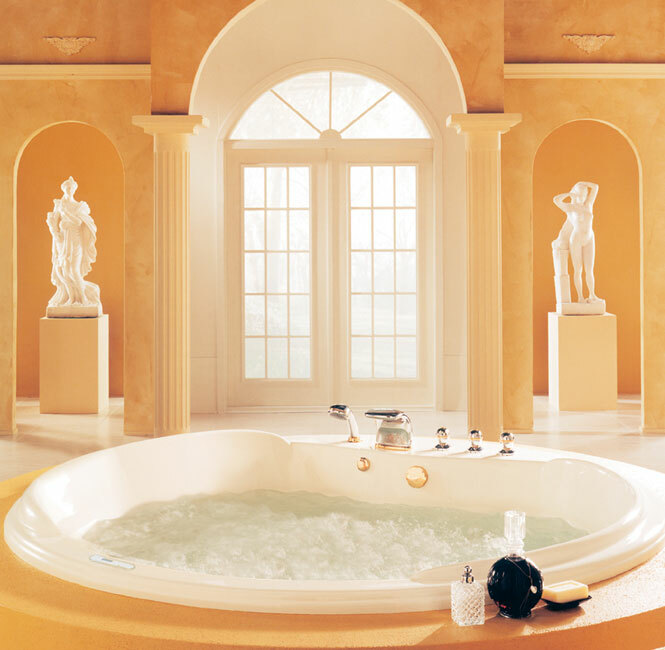 Bath’s total height :22 3/8 in. Interior length (top) :61 1/4 in. Total length :71 1/2 in. Maxi-comfort water depth :16 3/4 in.